A sequel to the original 2003 series when the famous bandit of secret heroes we know are back and fighting the evil computer virus XANA in the live action sequel. I think the people who gave this movie a low rating, probably have never seen any series of it. Bloom is searching for her biological parents (king Oritel and queen Marion of Domino). In the first series, she discovered she was adopted and where she really came from, in the second series, she wanted to know more about them, and in the third series, she discovered who them has captured. 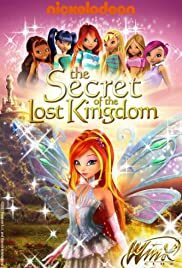 Now in this movie, Bloom tries to find them! The beginning is exciting. It starts with an action scene in a dark castle. Flora, Stella, Musa, Tecna and Layla are graduated at Alfea. It has a perfect mix of humor and drama.